Many of us, when out and about, use more than one digital device at a time, and whether we’re necessarily aware of it or not, there’s an invisible pecking order. The smartphone is usually the most important, and the tablet, invariably, the least crucial to the running of our digital errands. 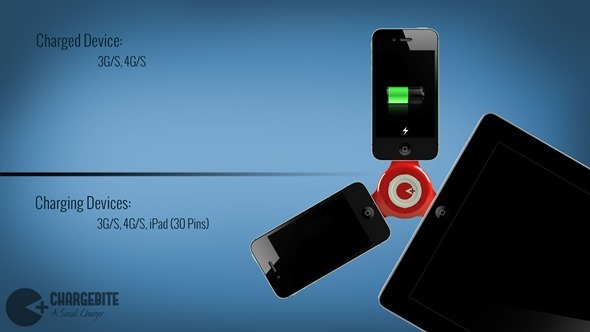 It stands to reason, then, that the smartphone would run out of battery a lot quicker than the tablet, and one IndieGoGo group has created a product which allows you to transfer battery to your priority iOS device(s) from another, less important device. 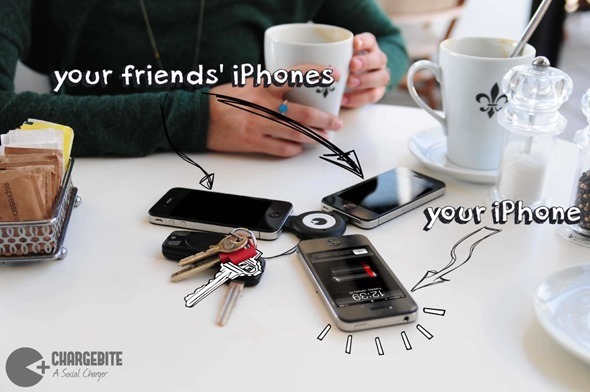 If your iPad is sitting in your bag, fully charged, and yourself (and perhaps your friend) are running out of iPhone battery, the ChargeBite ensures that dormant battery doesn’t go to waste. Sounds awesome? Read on for more details. As you can see from the images, it’s as practical as it is simple, and allows the inferior, low-priority device among the pack to have its battery leeched by another iPhone, iPod touch or iPad. 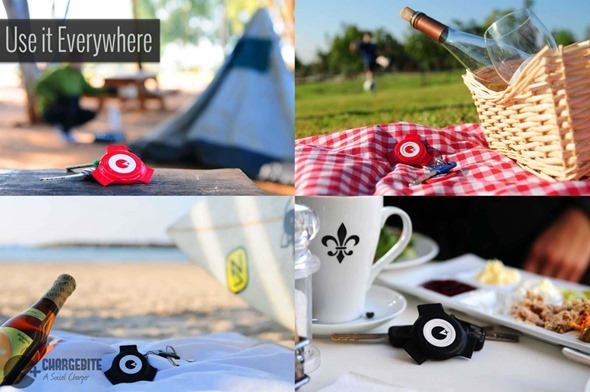 Attaching conveniently to your keychain, you can take it anywhere with you, and although one device will always be sacrificed, the greater good of up to two, rejuvenated iOS devices makes it all seemingly worthwhile. It’s painted as a “social” charger, but in reality, it’s the social equivalent of bullying if you’re asking us. Then again, it makes sense for the device with one hundred percent battery to share the juice, so in that “sharing is caring” mindset, I guess it does have a legitimate claim to being social. There is only one real caveat of ChargeBite – it’s not yet compatible with the Lightning connector. Probably a good decision on the part of the creators, since in the current period of transition from one proprietary Apple connector to another, the vast majority are still using the older of the two. There’s no mention on the page of a Lightning version, but provided this version raises the $45,000 it needs to become a real product, don’t be surprised to see a Lightning-based product follow suit. 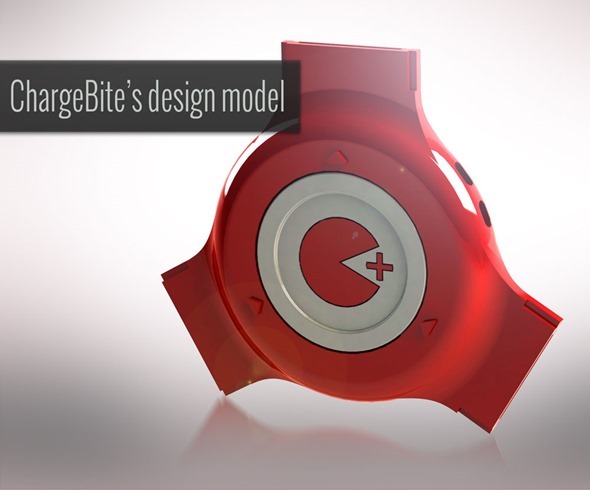 If you like the idea, and would like to help ChargeBite get off the ground and hit the market, please check out the product’s IndeiGoGo campaign and pledge your backing.